Enthusiastic to pass on the benefits of chiropractic care! Haley has been under chiropractic care from a very young age and loves the benefits of having a healthy spine and nervous system to enable her to do what she loves doing. She is excited and enthusiastic to pass on the benefits of chiropractic care and health to people of all ages and from all walks of life. Haley has played many different sports, including at representative level, and is interested in the care and rehabilitation of sports related injuries along with general wellness care. Born and bred on the West Coast Haley grew up on her family farm and worked in construction, retail and hospitality. She loves being outdoors, having adventures, and being healthy to enjoy what this beautiful country has to offer. Haley is very passionate about holistic health care, believing that nutrition and exercise play a huge part in overall health and wellness, and are vital alongside regular chiropractic adjustments. Chiropractic is the most natural and normal way to regain and maintain your health and wellbeing, just as important as Eating Well, Thinking Well, and Moving Well. Haley, a 6th generation Coaster, has just come home. Her Dad is John Pugh and Mum Maureen, 5th generation Coasters. After a few years of travelling around the world and 5 years of studying in Australia there was no doubt in Haley’s mind about where she wanted to end up, back home on the Coast. 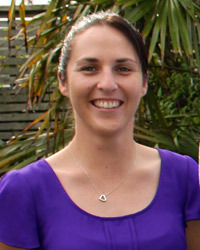 Haley is now keeping the community on the straight and narrow with her chiropractic skills, based in the new Roughan Chiropractic practice in Hampden Street, Hokitika. Simon Roughan started his career in Greymouth in 1981 and is now considered one of the leading Chiropractors in the country, and the team he has around him is outstanding. He established a practice in Hokitika 2 years ago and this new business has created 2 jobs. Haley’s Great Great Grandparents settled in Kumara and the family has had connections there now for 7 generations. That makes for some very long roots and a reason to come home. Now you might think it’s been all milk and honey for Haley but here is a young lady that for the last 5 years during her training has, in the holidays, worked at Stockton, poured concrete, dagged sheep, built fences done landscaping and worked as a labourer to help get her through University in Melbourne. And in the family hot rod in her leisure time she has driven around the most esteemed of guests including none less than Dan Carter. It’s no surprise the Pugh name is of medieval Welsh origin, and is a Welsh patronymic form of the personal name “Hugh”, originally written as “ap Hugh” in the 16th Century, where “ap” means “son of”, and over the years this has been reduced and contracted to form “Pugh”. A Coat of Arms was granted to a Pugh family resident at Wanerchydol, Co. Montgomery, The Motto, “Qui invidet minor est”, translates as, “He who envies is inferior”. I record this as this is a young lady that envies no one, is very professional and loves her job. She travels to Hokitika every day from her wee piece of paradise at Turiwhati.